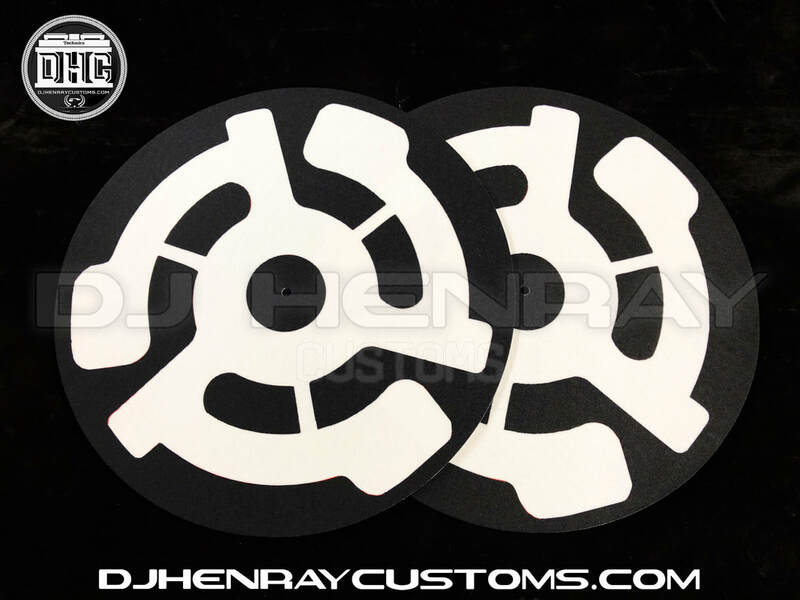 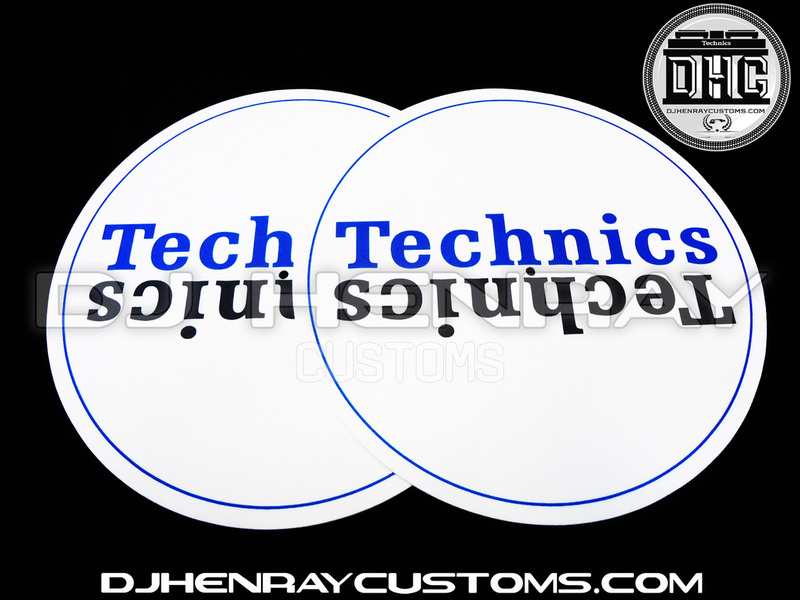 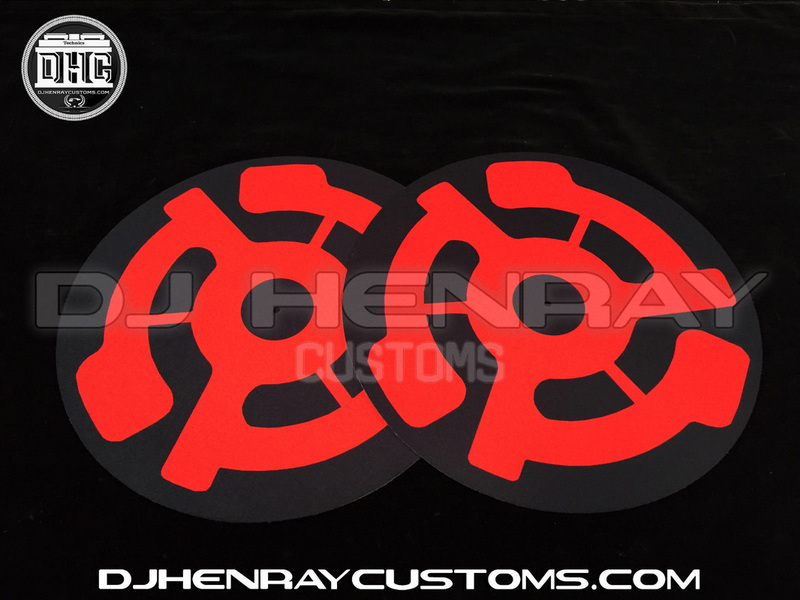 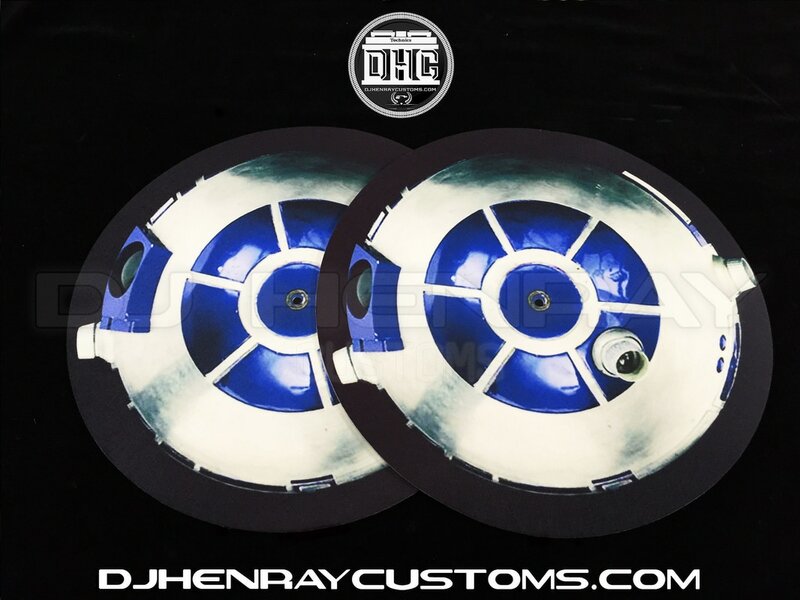 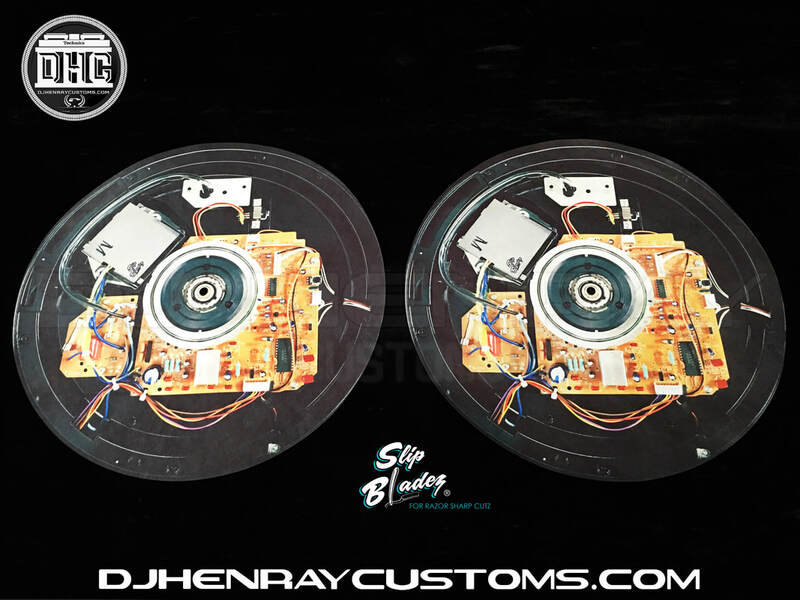 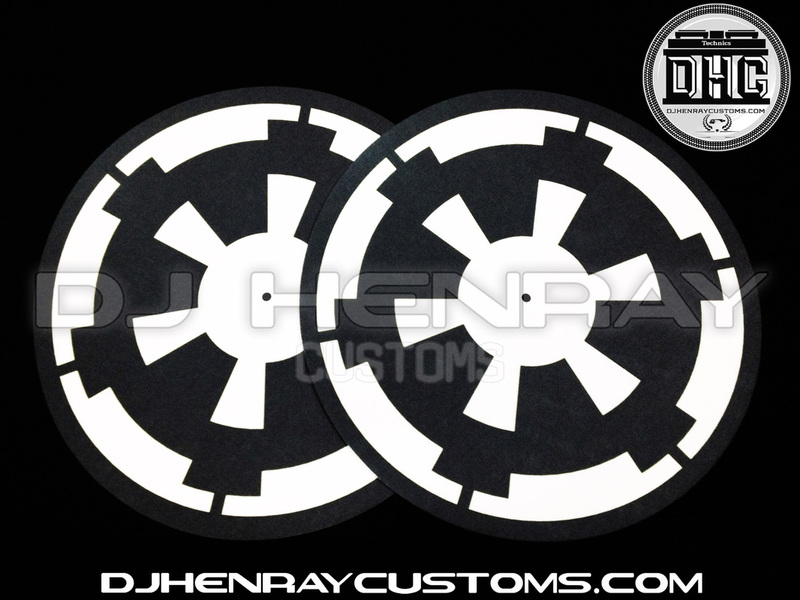 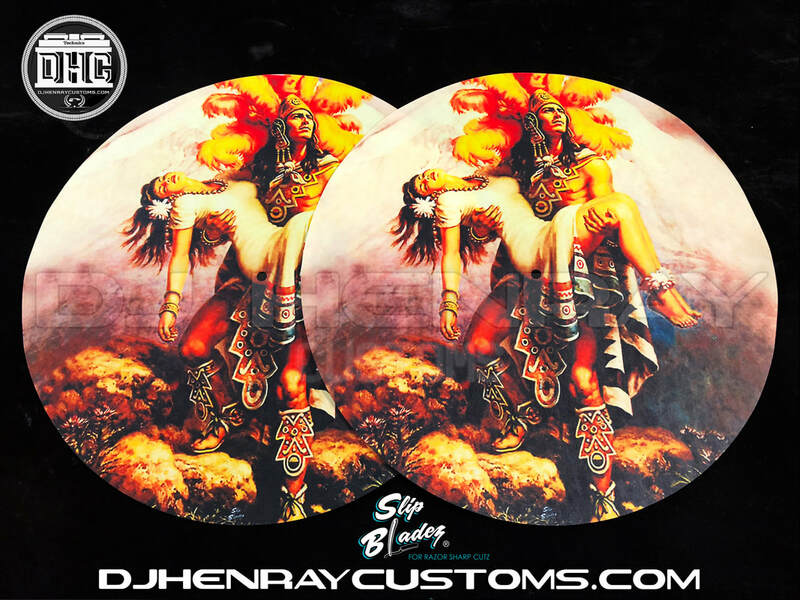 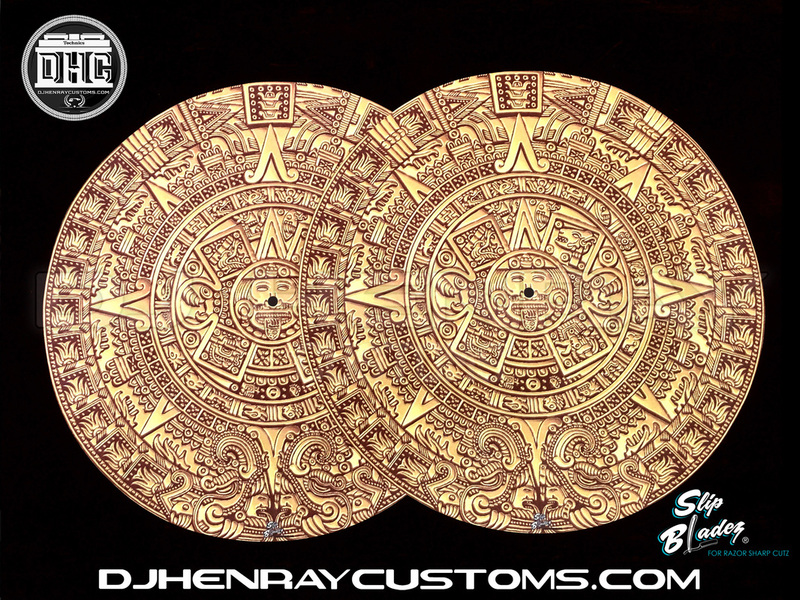 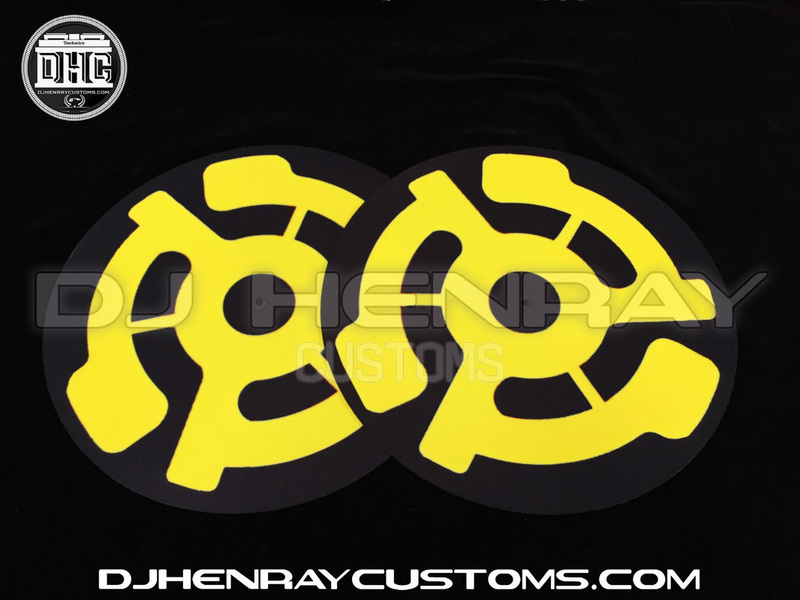 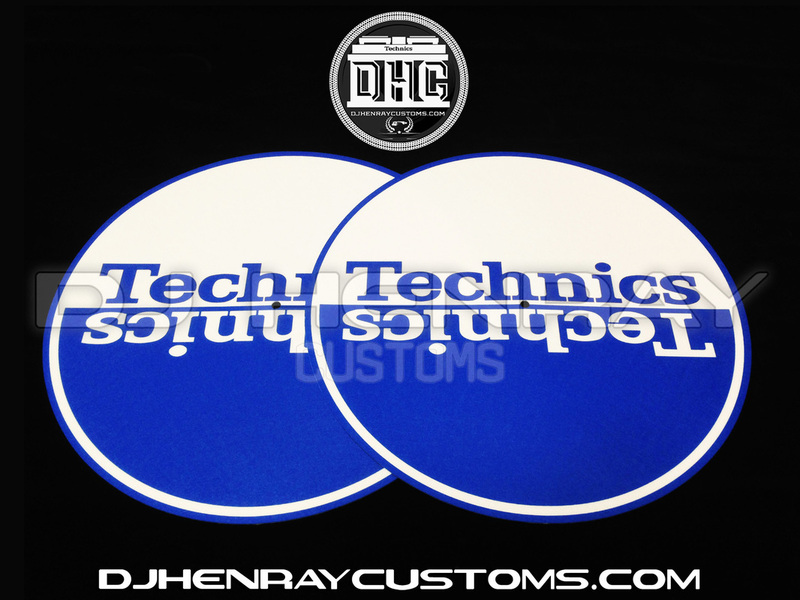 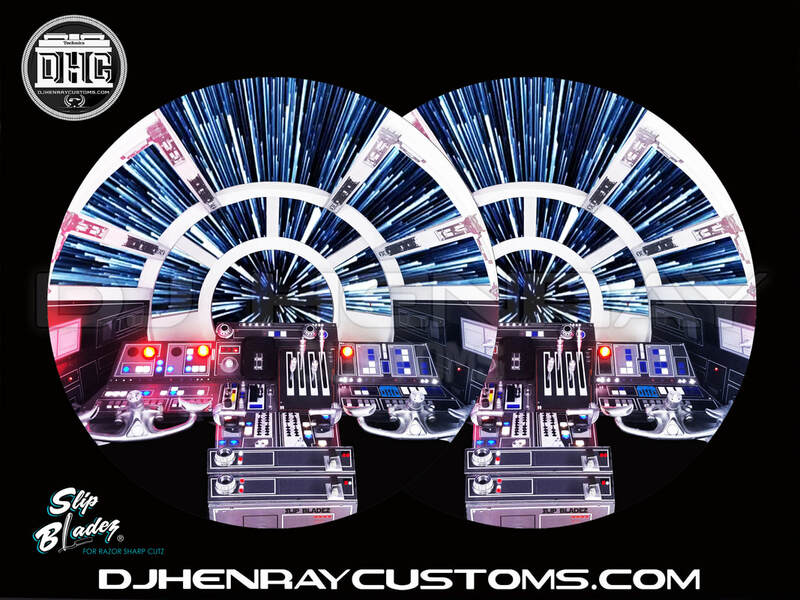 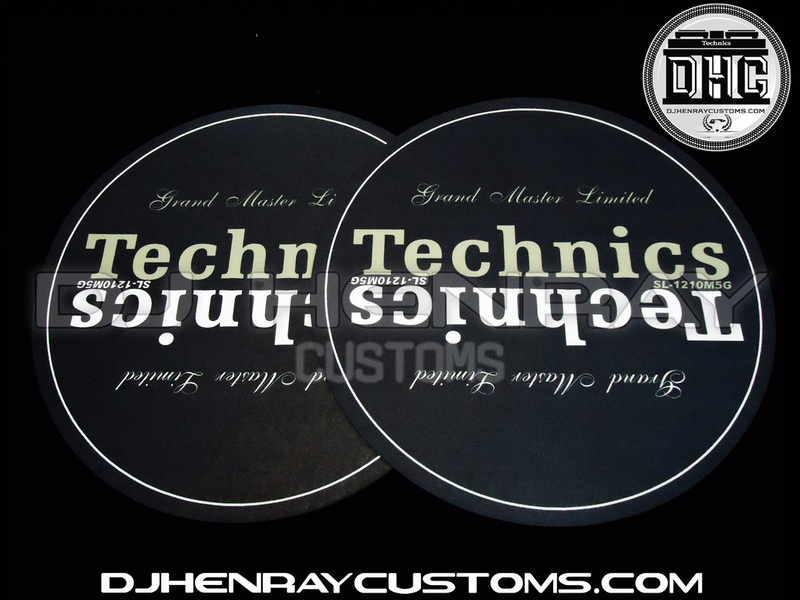 You can now have your own logo or image on your Slipmats. 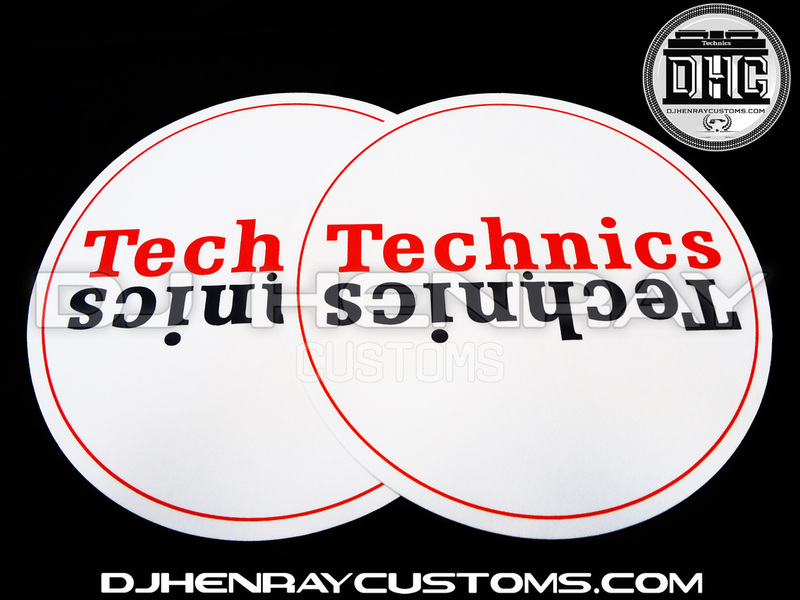 These are full color prints done in pairs. 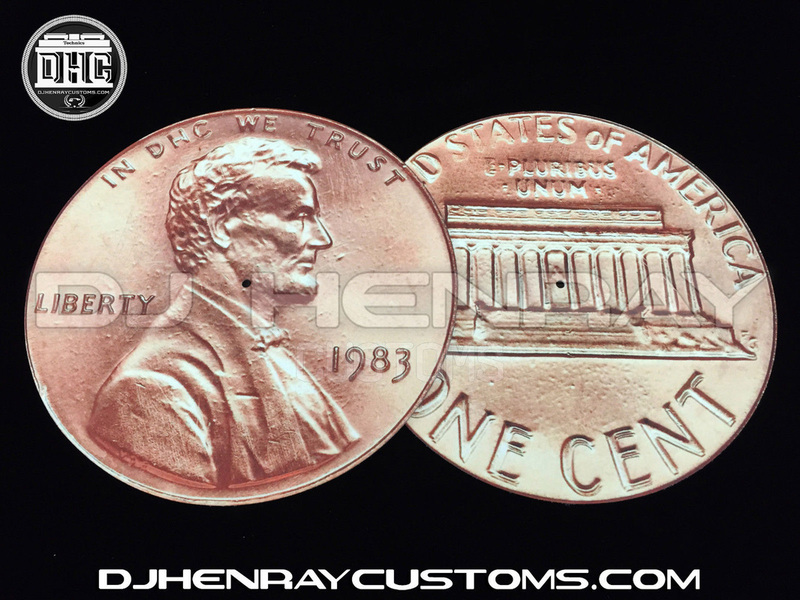 Here are a few designs we offer. 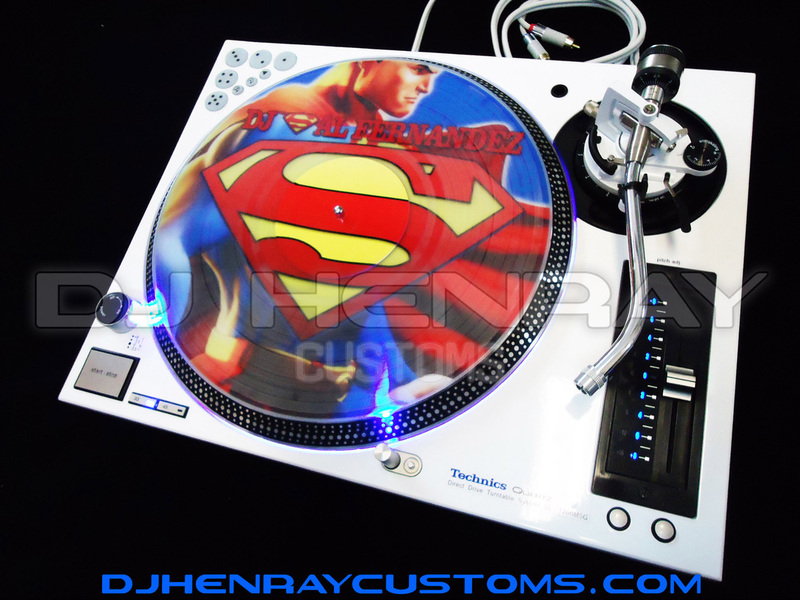 You can create your own custom design below. 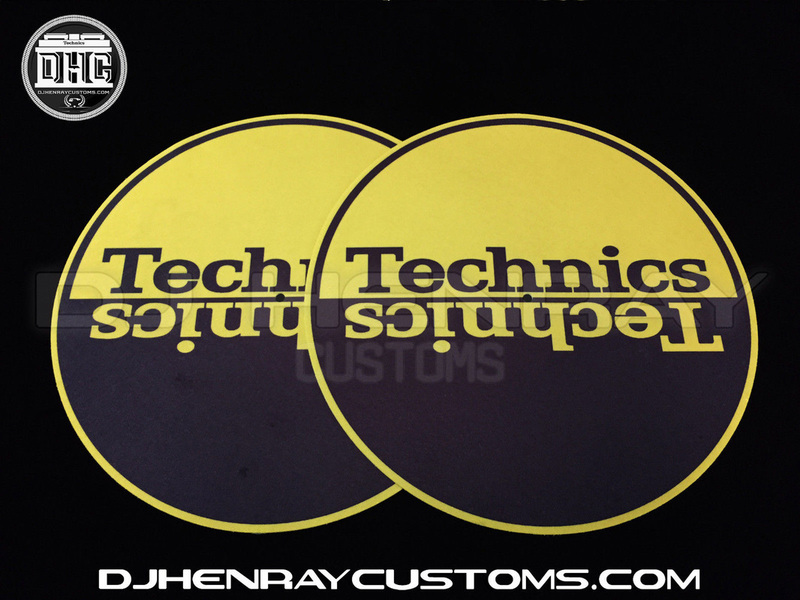 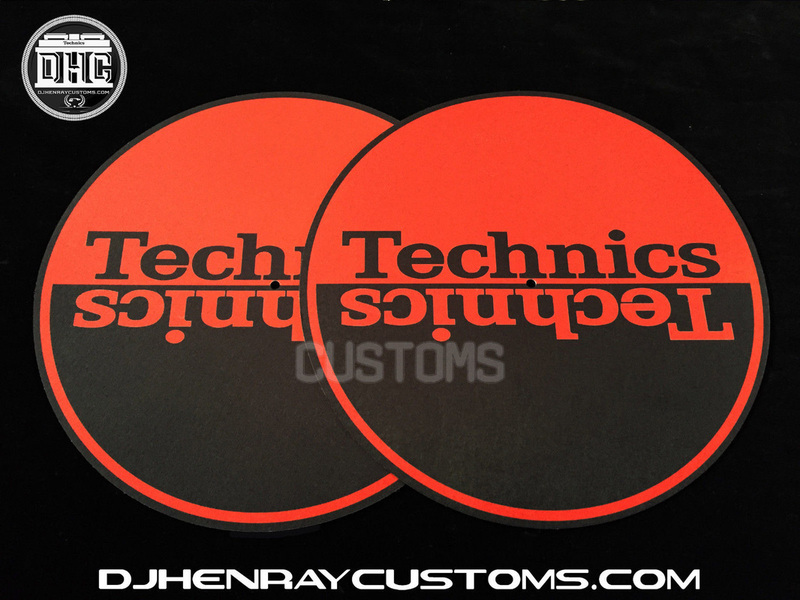 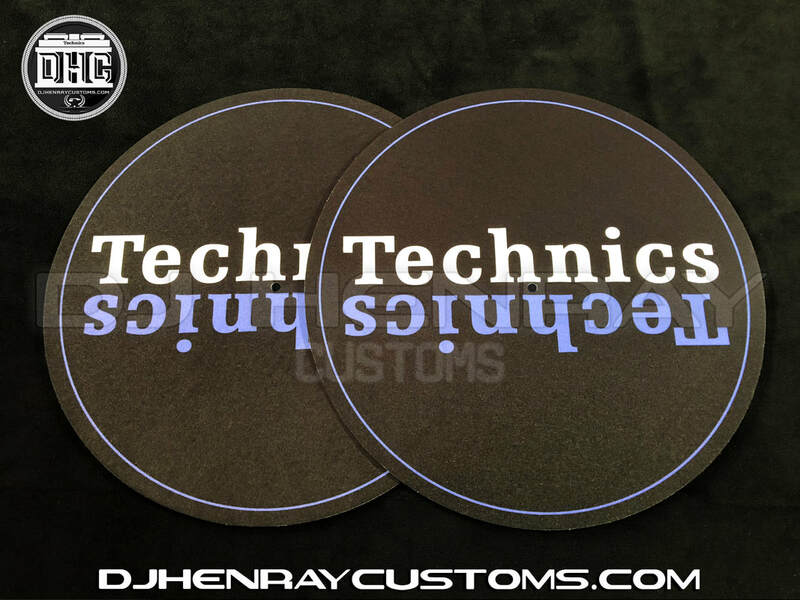 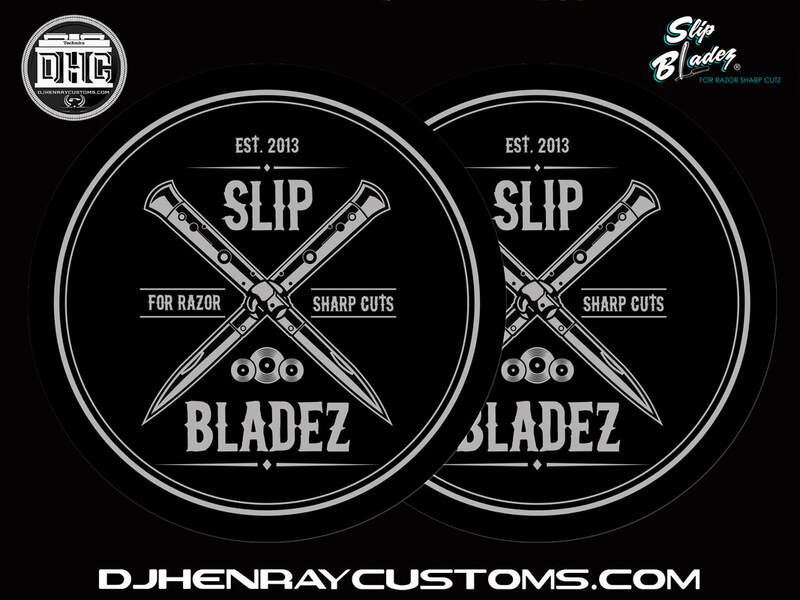 Create your own Slip Mats with your logo or design. 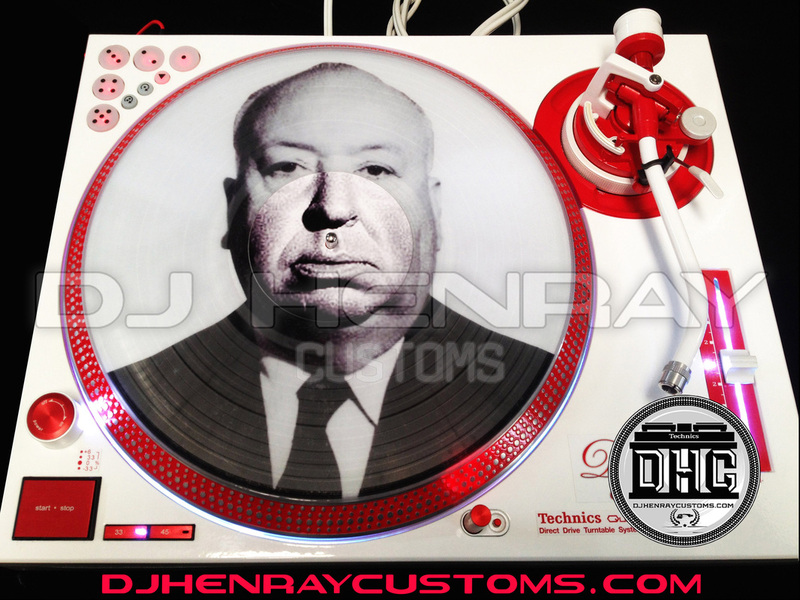 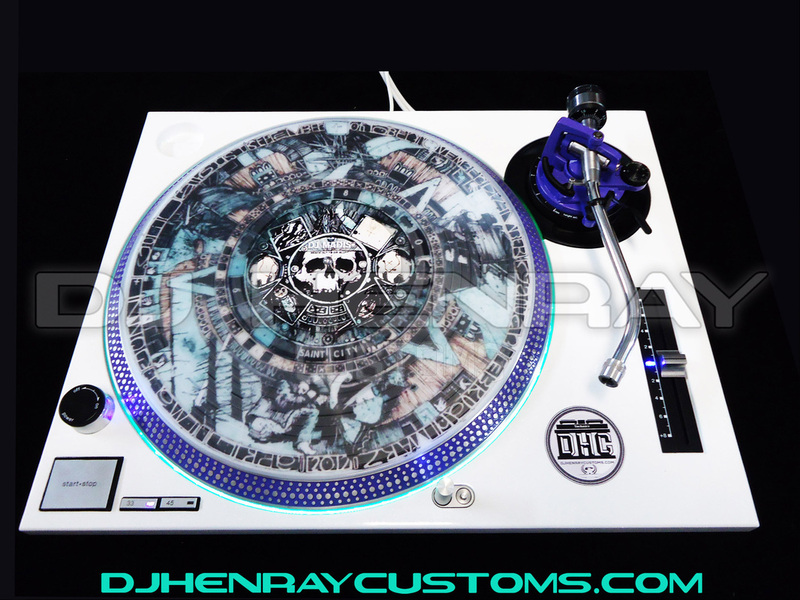 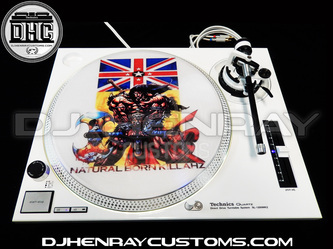 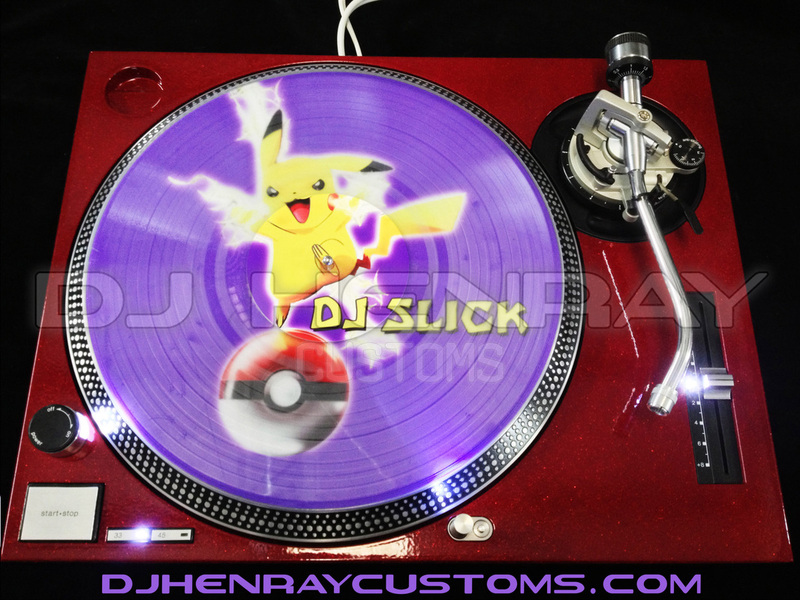 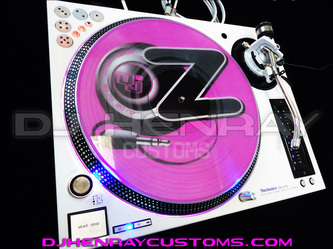 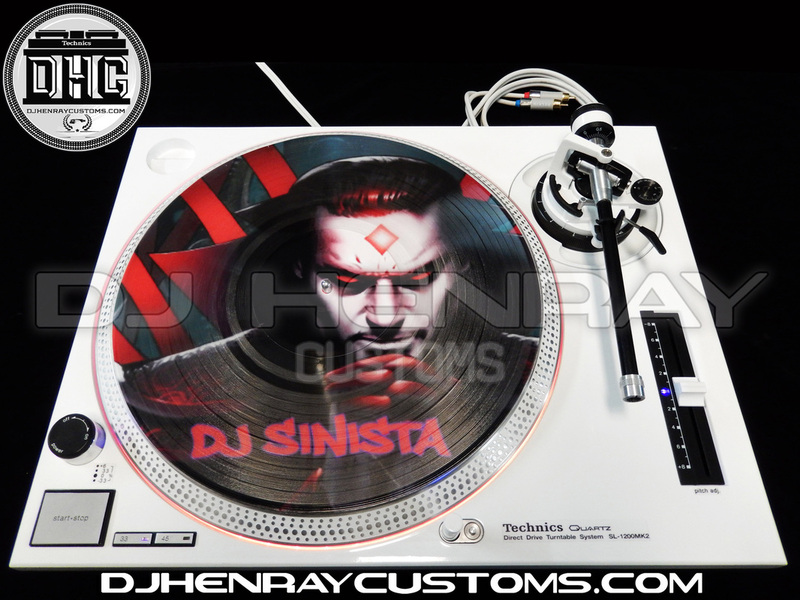 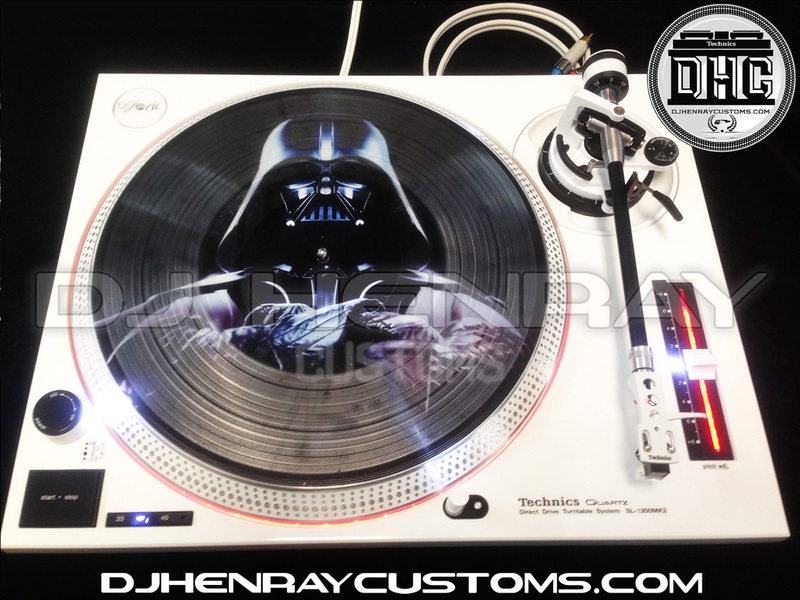 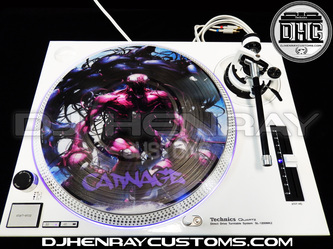 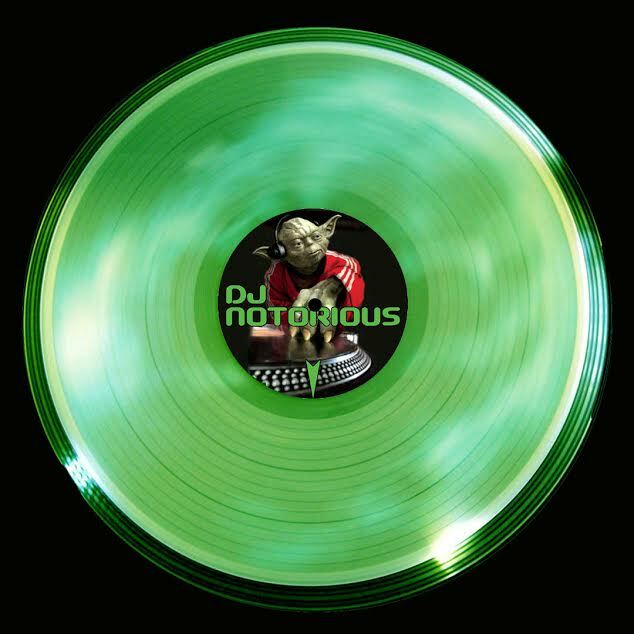 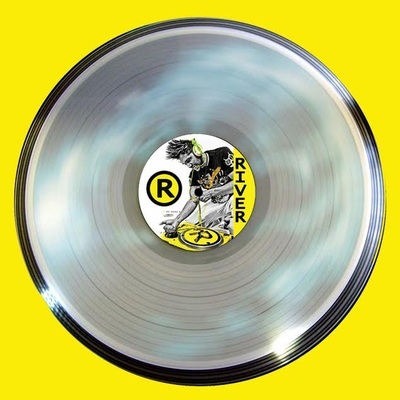 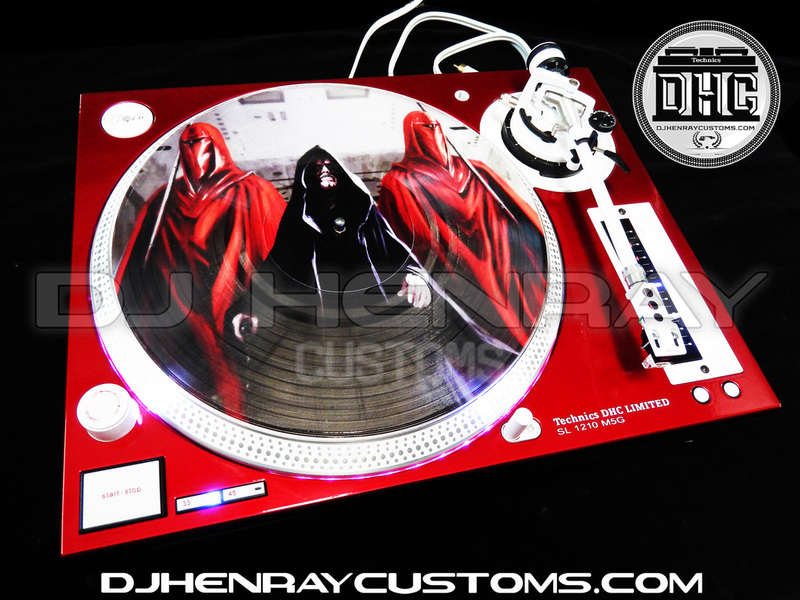 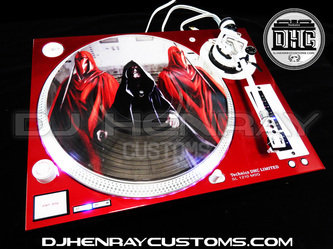 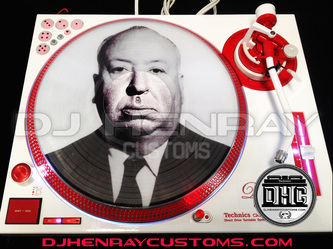 You can now have your own logo or image on your Serato vinyl. 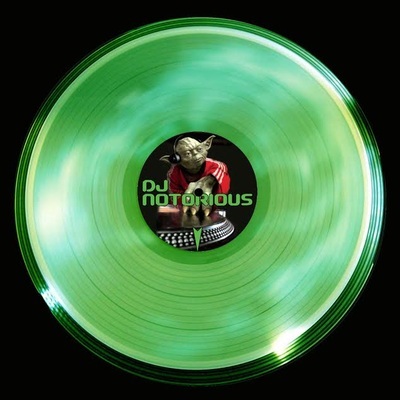 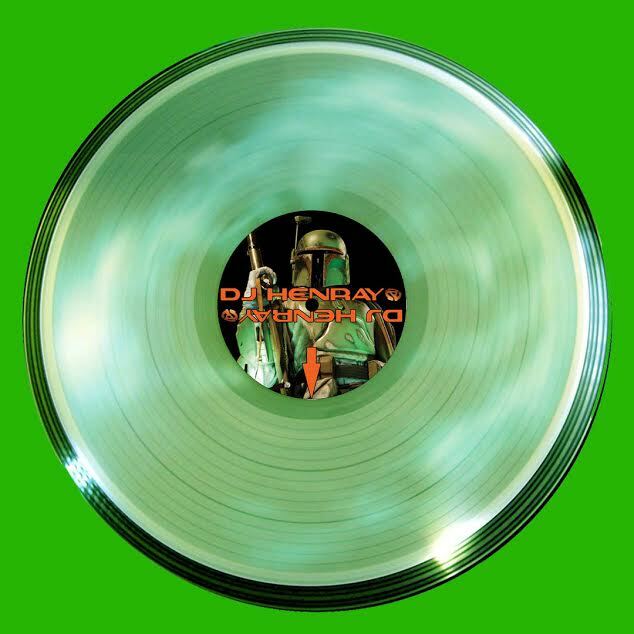 These are clear vinyl with a custom print on one side. 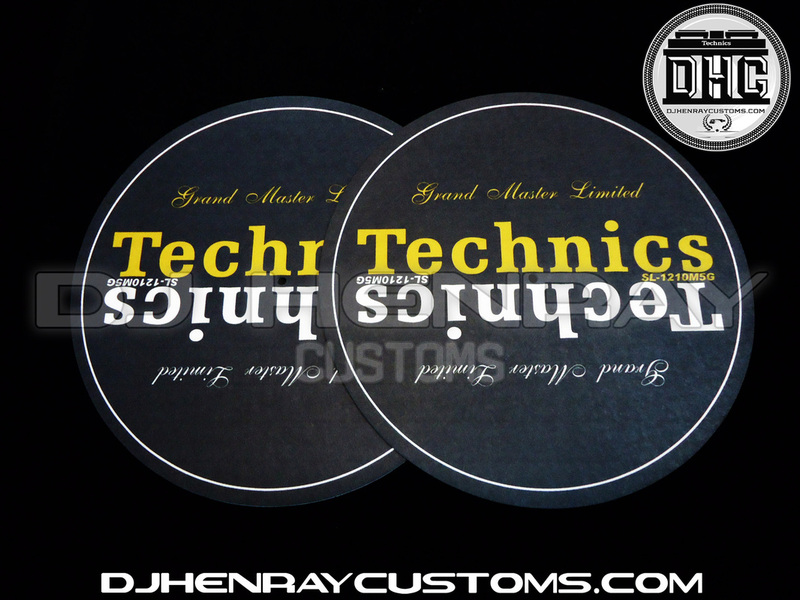 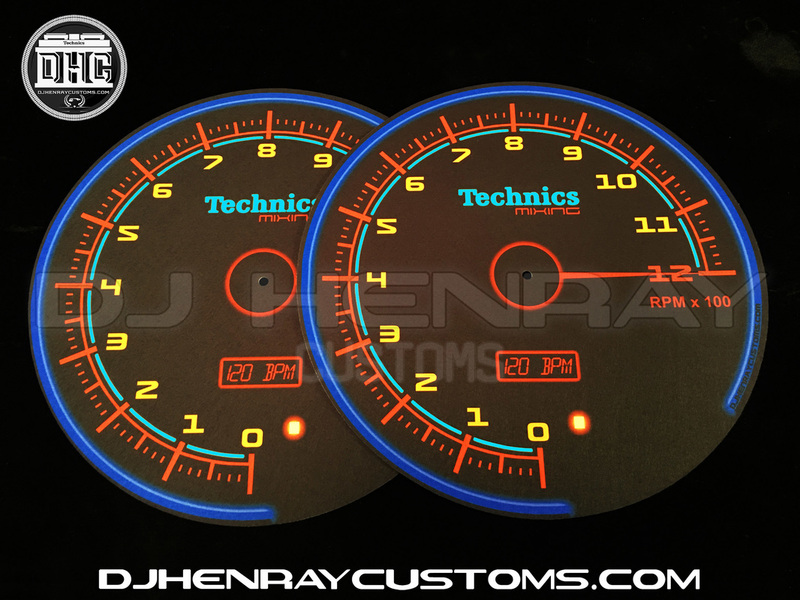 Here are a few designs we made for some of our customers. 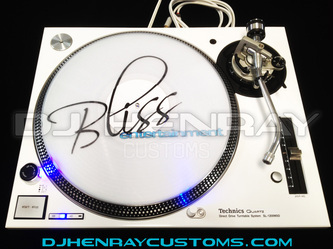 Purchase Below. 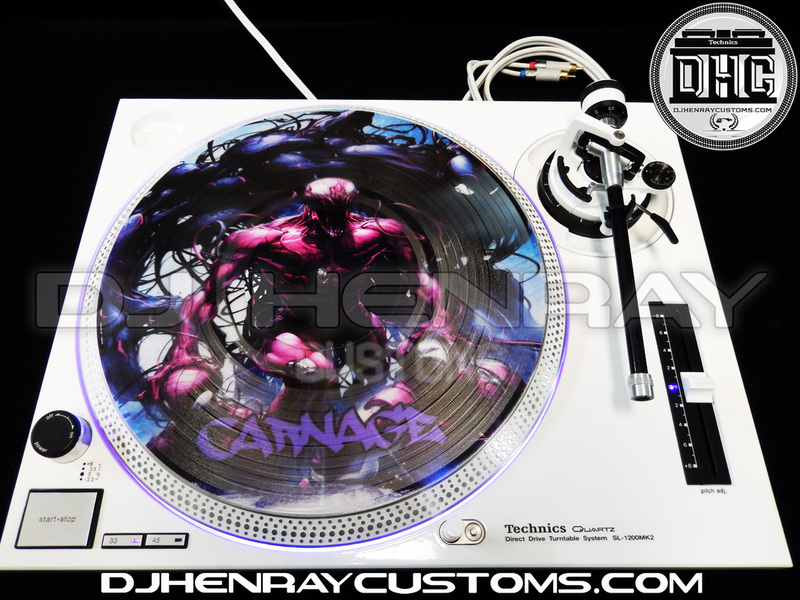 *note: only one side of the vinyl will be playable after the print is placed. 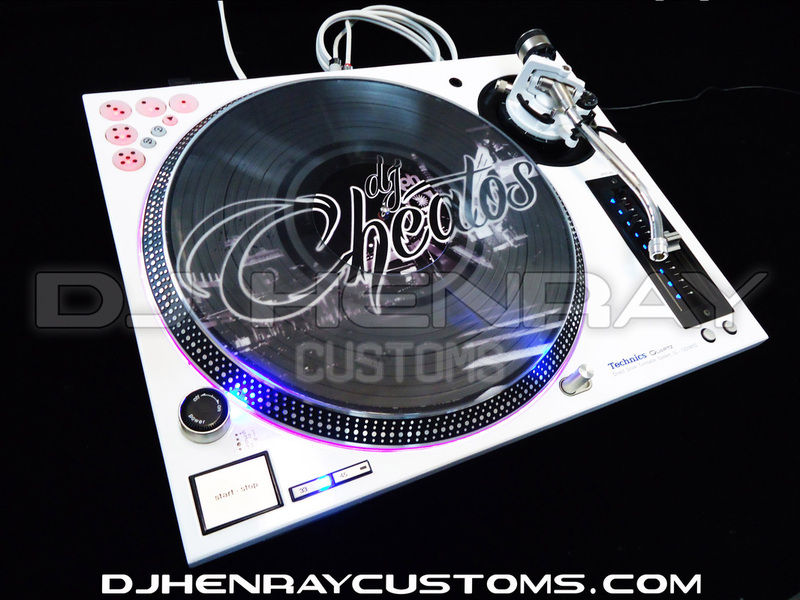 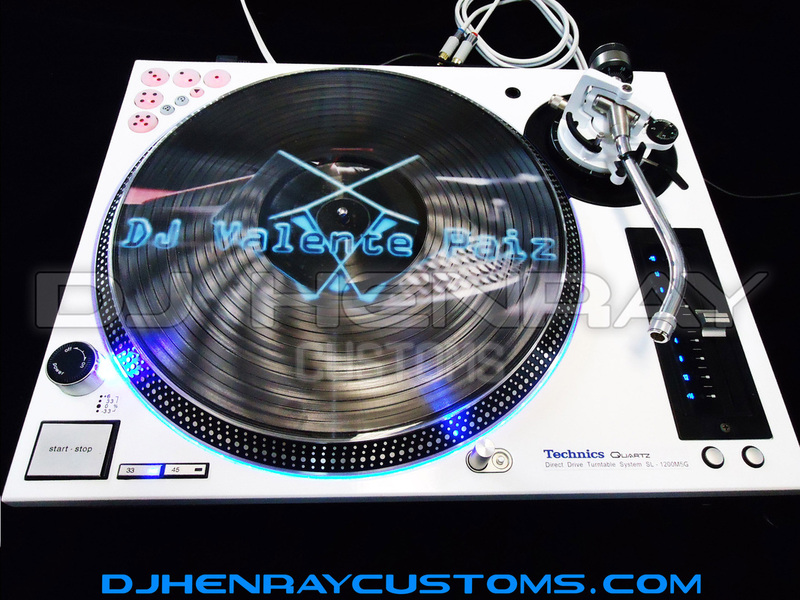 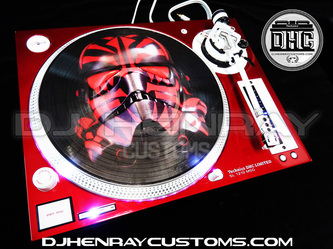 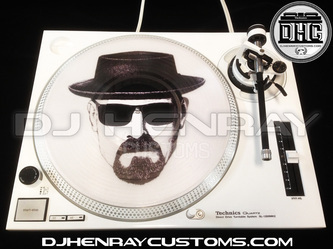 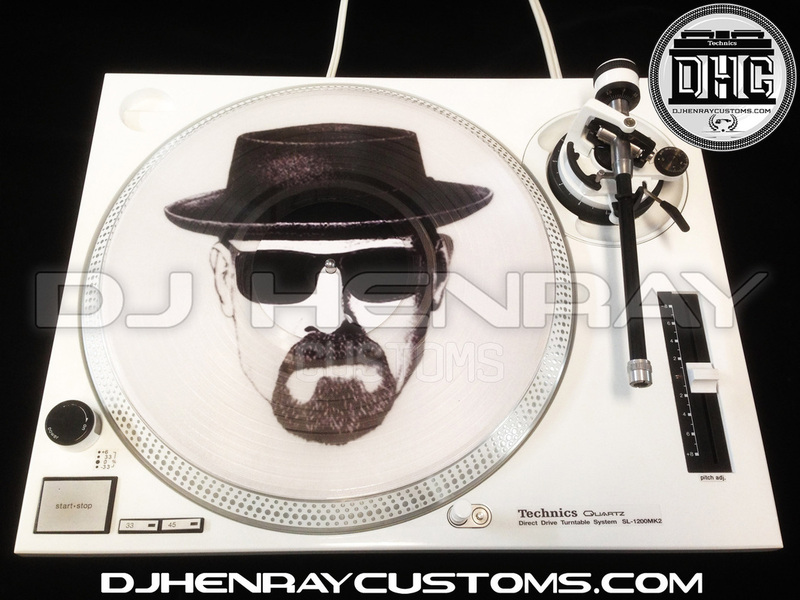 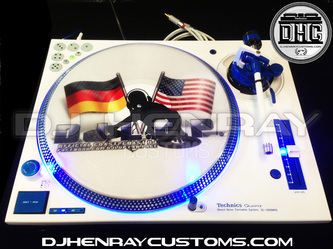 Create your own Serato Vinyl with your logo or design. 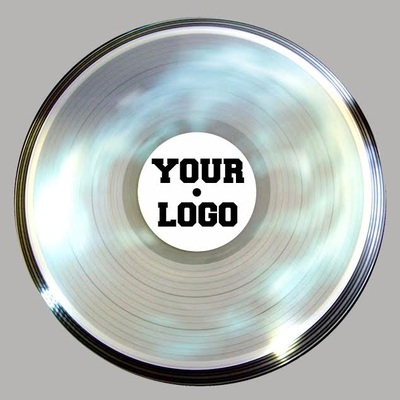 You can now have your own logo or image on your Record Labels. 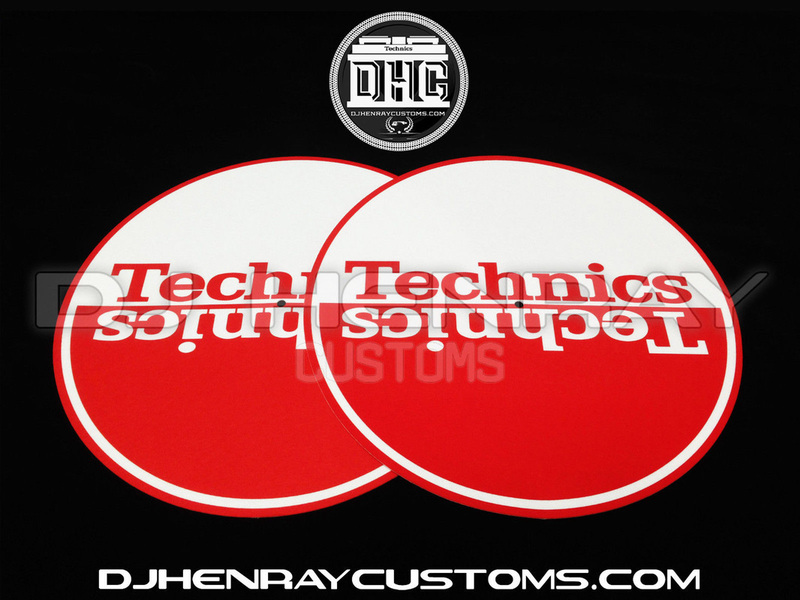 Here are a few designs we made for some of our customers. Purchase Below. 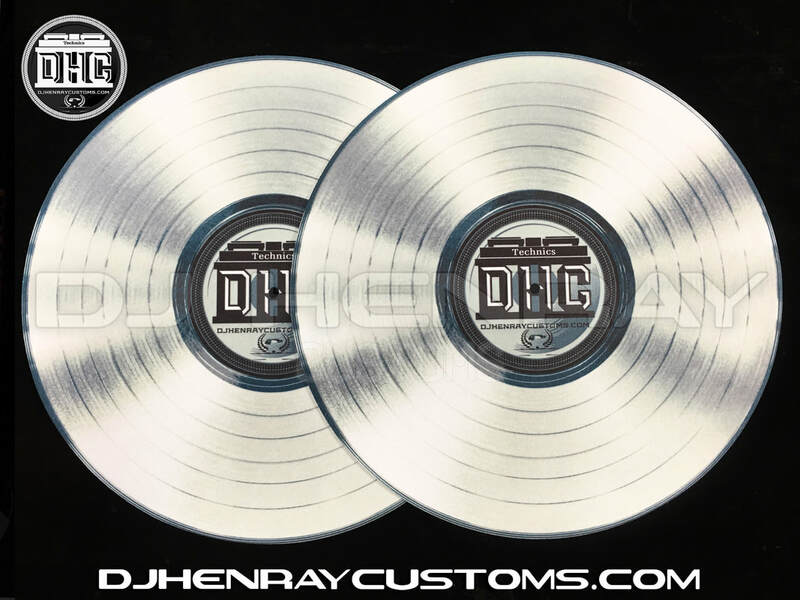 Create your own Record Labels with your logo or design.